It might not be made of chocolate, but we want your customers to find your website irresistible! Gardenshed.net websites look great and are a pleasure to browse. Easy to use, simple navigation is our trademark. We build our sites from the ground up to ensure that search engines and web crawlers are all over them! We innovate without risking disaster on older browsers or untested platforms. 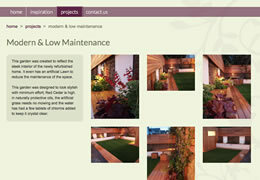 Gardenshed.net is a small web design and development team dedicated to creating gorgeous, easy to use websites. As well as a fantastic site - we'll provide you with simple-to-use tools enabling you to update the content of your site through your web browser. But we don't leave it there... The friendly gardenshed.net team is on the other end of the phone should you ever need a hand keeping your site in top shape. All part of the service. We will continue to work with you to make sure your site isn't lost amongst the competition... We offer ongoing monthly SEO (search engine optimisation) content updates for your site to keep everything ticking over once your site goes live. 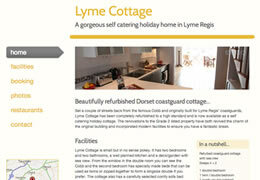 Gardenshed.net has been delivering clean, crisp, affordable websites and web consultancy services for more than 20 years. Clients of all sizes range from The Guardian, The National Portrait Gallery and Docklands Light Railway down to websites for award-winning journalists and photographers such as Terry O'Neill, Tom Stoddard and Bryan Appleyard. Let us know how we can help you with with your project. gardenshed.net, 36 Kensington Place, Brighton, BN1 4EJ.